Machine learning may be the tool de jour for everything from particle physics to recreating the human voice, but it’s not exactly the easiest field to get into. Despite the complexities of video editing and sound design, we have UIs that let even a curious kid dabble in them — so why not with machine learning? That’s the goal of Lobe, a startup and platform that genuinely seems to have made AI models as simple to put together as LEGO bricks. 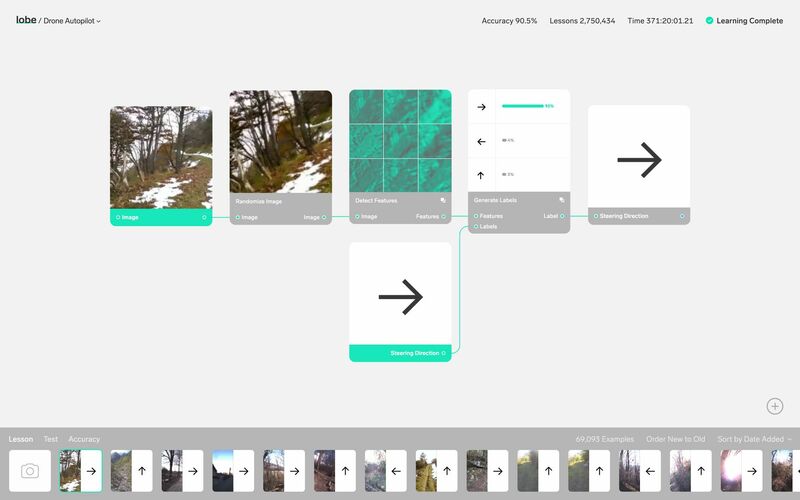 Lobe, which Matas created with his co-founders Markus Beissinger and Adam Menges, takes the concepts of machine learning, things like feature extraction and labeling, and puts them in a simple, intuitive visual interface. As demonstrated in a video tour of the platform, you can make an app that recognizes hand gestures and matches them to emoji without ever seeing a line of code, let alone writing one. All the relevant information is there, and you can drill down to the nitty gritty if you want, but you don’t have to. The ease and speed with which new applications can be designed and experimented with could open up the field to people who see the potential of the tools but lack the technical know-how. A raft of examples on the site show how a few simple modules can give rise to all kinds of interesting applications: reading lips, tracking objects’ positions and angles, understanding gestures, generating realistic flower petals. Petals? Well, why not? You need data to feed the system, of course, but doing something novel with it is no longer the hard part.